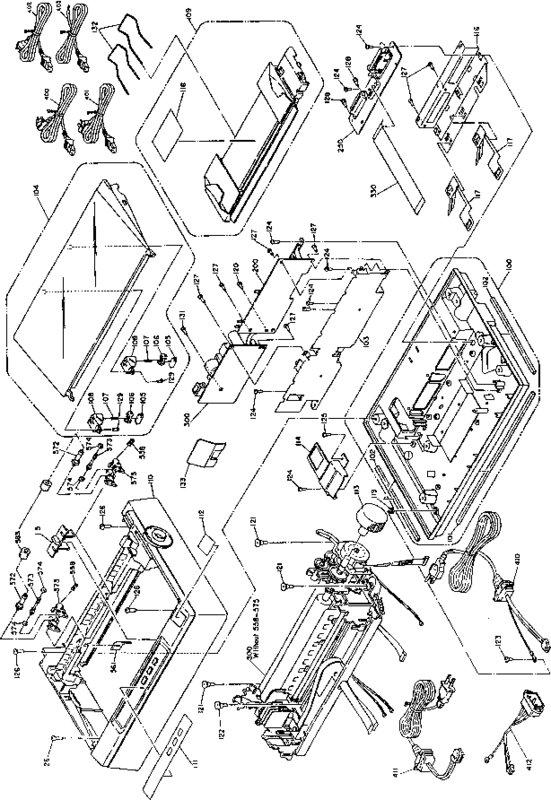 FUSER TRAY ASSEMBLY will be kept connected with the harness. 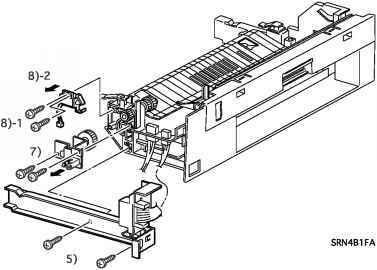 Therefore, do not leave the FUSER TRAY ASSEMBLY too far from the fuser rear rail. 5. Remove 2 screws (gold, tapped, 10mm) securing the FUSER REAR RAIL, and separate the FUSER REAR RAIL from the FUSER TRAY ASSEMBLY. 6. Disconnect the connector (P/J62) for the CLEANER CAM SOLENOID and release the harness from the frame. 7. Remove 2 screws (gold, tapped, 10mm) securing the INPUT BRACKET FT and remove the INPUT BRACKET FT along with the FUSER EARTH-A. 8. Remove 2 screws (gold, tapped, 10mm) securing the CLEANER CAM SOLENOID and remove the CLEANER CAM SOLENOID. 1. The arm on the CLEANER CAM ASSEMBLY is in the induced position. 2. Set the lower side of the tip of the arm staying in contact with the Spring Clutch of the CLEANER CAM ASSEMBLY, and fix the solenoid.